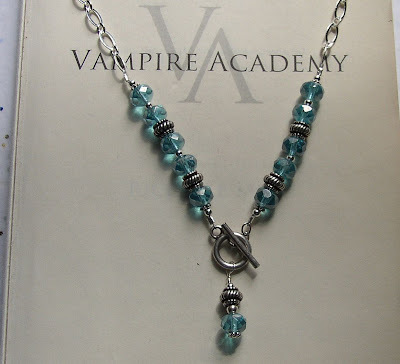 Have you checked out the Alpha Showdown Vampire Book Club is running at the moment? There are some really awesome Alphas, male and female, battling it out for the title. 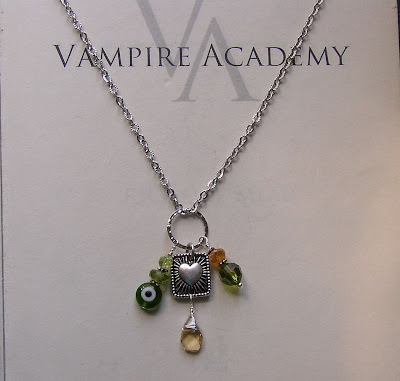 Among them are some of our favorite Richelle Mead characters, Eugenie, Dorian, Rose and Dimitri! Today is the last day to vote for Eugenie. It's also the first day to vote for Dimitri. So make sure you support Richelle's characters (especially Dimitri, who I'm championing ;-). To vote for Eugenie, go here. Dimitri's battle can be found here. And keep your eyes out for Rose's later on. If anyone else is also interested in contributing to the blog, feel free to send me an e-mail. While I'm watching Twilight (first time it airs on Swedish TV! :-), I thought I'd let you know (or remind you) that Psynde is offering free shipping right now in her Etsy shop. Yama, the original Cemetery Cat hasn't been feeling well lately and he's needed to go to the vet several times. 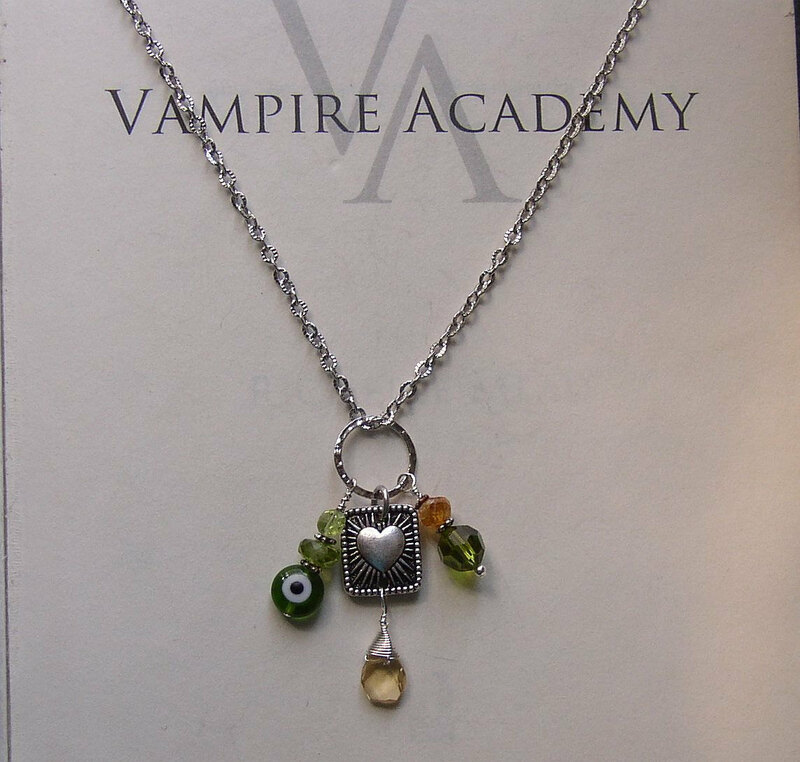 So if there is a special piece you've been longing to get, now is a great time, to support Psynde, Yama and Vampire Academy. Visit Cemetery Cat Designs to buy this or any of the other amazing pieces of jewelry in Psynde's Etsy shop. The free shipping offer is valid through today (Friday). 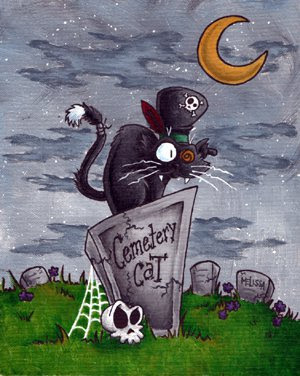 Psynde has also recently started a Facebook page for Cemetery Cat Designs, so make sure to "like" that. I'm new around here so bare with me. Since Marie has been super busy lately I'm going to be updating here and there to keep this thing going! I decided to do this because I noticed they needed some help, so why not help someone out and be able to blog about my favorite book at the same time! I'm just here to remind everyone to vote for Spirit Bound for the 2011 Ten Book of the Year! If Spirit Bound wins Richelle Mead will write a story about Rose and Dimitri visitng his family in Russia. I know everyone wants more Rose and Dimitri so vote until voting is closed and we'll get the story we've all been waiting for. I know the previous post is regarding the same thing but I'm just here to say hello and again remind you all to VOTE!!! Thanks!